Zack Fischer closed with an 8-under 64 on Tuesday in Q-school to earn top status on the Web.com Tour next year. 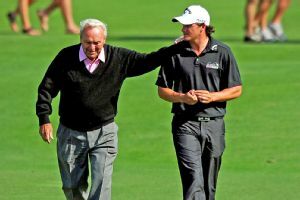 Now that Q-school gets golfers a shot at the Web.com Tour only, Farrell Evans shares five players to keep an eye on in the minor leagues for 2014. The Northern Trust Open announced four sponsor invitations via Twitter with American Max Homa, Frances Victor Dubuisson, the Netherlands Joost Luiten and Italys Francesco Molinari gaining entry into the tournament field. The USGA has completed the Walker Cup team with the addition of five golfers. NCAA champion Max Homa beat Max Orrin 5 and 3 and the United States won the first six singles matches Saturday in the Walker Cup to take an 8-4 lead over Britain and Ireland at historic National Golf Links of America. Max Homa won the BMW Charity Pro-Am on Sunday for his first Web.Com Tour title, closing with an 8-under 63 at Thornblade Club for a one-stroke victory over Jonathan Randolph.